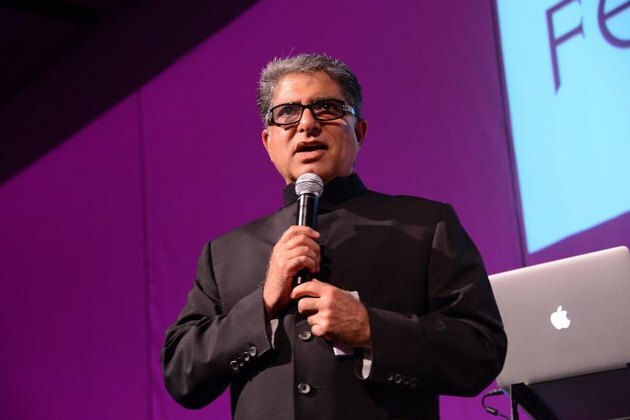 Last year I had the opportunity to meet and meditate with physician and bestselling author Deepak Chopra, a leader in mind-body medicine and meditation advisor for Sonima.com. Chopra believes you can begin practicing meditation anywhere -- even at your desk with your eyes open. He told us about STOP Meditation, which is very simple to practice in just one minute any time during your day to relieve stress and enhance your focus. In this short video Chopra explains how you can do a one-minute meditation at your own desk to give yourself a mini-break from the day's stresses and help you regain mental clarity and calm. 2. Take some deep breaths and focus on the sensations of your breathing. You can even count your breaths i.e. inhale "1," exhale "2," inhale "3" etc. This helps you reconnect with the present moment and also creates a buffer between your thoughts and your actions. What is my dharma or purpose? 4. Proceed with your day with this new sense of mindful awareness (based on your thoughts or answers to the questions above). Have you tried meditation? What did you think? What type of meditation did you try? What benefits have you seen? If not, what is holding you back from trying meditation? Would you try Chopra’s one-minute meditation? Leave a comment below and let us know.